Boeing on Saturday said a software upgrade for its grounded 737 MAX 8 planes, which have been involved in two deadly crashes, were ready to be reviewed by the Federal Aviation Administration. Airlines worldwide grounded the jet after the deadly crash of an Ethiopian Airlines flight on March 10 that killed all 157 people on board. It came less than five months after 189 people died in a Lion Air crash involving a MAX 8 off the coast of Indonesia in October. The update involves tweaking the system designed to prevent an aerodynamic stall if sensors detect that the plane's nose is pointed too high. After the update, the system will rely on data from more than one sensor before it automatically pushes the plane's nose lower. The system will not repeatedly push the nose down, and it will reduce the magnitude of the change. Teams from US airlines Southwest, United Airlines and American Airlines that own 737 MAX jets went to Boeing Co's factory in Renton, Washington, to review the software upgrade on Saturday, as the FAA prepares to receive and review the fixes. 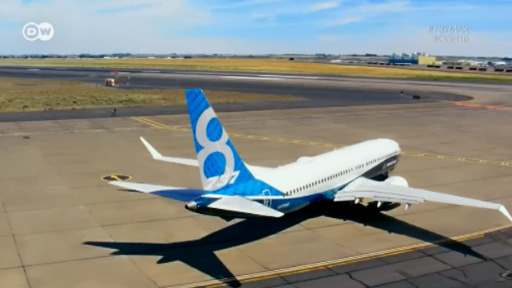 "Right now we're in wait-and-see mode to see what Boeing comes up with," said Captain Jason Goldberg, spokesman for the APA, who was part of the delegation of airline safety experts and pilots set to test the upgrade. "We're hopeful, but at the same time the process can't be rushed." Read more: Boeing 737 MAX: Is the new airplane safe? A US official briefed on the upgrade, told Reuters news agency that the FAA has not yet signed off on the upgrade and training but the goal is to review them in coming weeks and approve them by April. The official said planned changes included 15 minutes of training to help pilots deactivate the anti-stall system known as MCAS in the event of faulty sensor data or other issues. It also included some self-guided instruction, the official added. After two crashes in five months, the American plane manufacturer is under pressure. Many countries have grounded their Boeing 737 Max 8 planes.